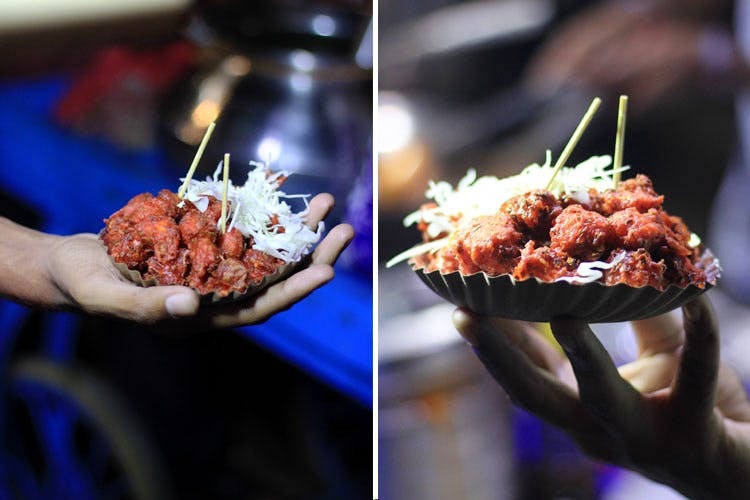 Pune always has a different take on street food and just when you thought you had had enough, it decides to surprise you! Try out crazy Indian Chinese at a humble stall in Vishrantwadi. Right outside Shoppers’ Orbit in Vishrantwadi, a guy serves some delicious Chinese bhajiya which is fried to perfection. This come at a humble price of INR 20 only. The bhajiya over here is served in two types- deep fried Manchurian balls that are served hot and dry and the second combination is served with a spicy red Chinese sauce. The exact location of this guy would be outside Domino’s pizza. He sets up his stall at around 5:30 pm.